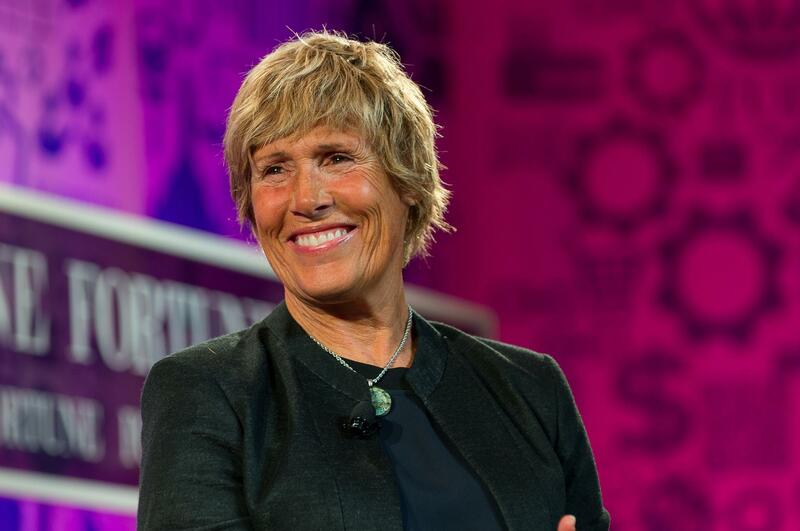 Diana Nyad at the Fortune The Most Powerful Women 2013 event. On this Memorial Day weekend, as millions of people look forward to summer vacations at the ocean, it seemed like just the right time to revisit one of our favorite “Two Way Street” conversations – our talk with the heroic ocean swimmer Diana Nyad. Like many people, I had a vague awareness of Diana Nyad’s many attempts, failures and ultimate success in making the swim from Cuba to Florida. But I never gave much thought to the life-threatening dangers and the almost impossible physical prowess that the swim presented. Then I watched the Showtime documentary “Diana Nyad: The Other Shore.” It was made by her nephew Tim Wheeler. He accompanied the support crew that followed Nyad on her fourth effort to make the crossing. It is a painful movie to watch because we see close up the near unimaginable suffering Nyad experienced as she faced venomous jellyfish, some of the strongest ocean currents in the world, storms and the constant fear of sharks. The film ends with Nyad having to quit her fourth attempt. But when I read that she was preparing to do it once again some time later, I paid close attention. This time she succeeded. Once I’d realized what that swim demands, I admit that I wept when I watched the triumphant video of her stumbling ashore at Smathers Beach in Key West. All of this is to say that when I learned Nyad was coming to Atlanta to promote her memoir “Find a Way,” I knew I had to bring her in for a conversation. We talked last fall, but now “Find a Way” is about to be released in paperback. And I am so glad I got the opportunity to talk with her! Nyad is fierce, funny, a fabulous performer (which you’ll hear in our conversation), and at times during our discussion, showed the same obsessiveness with making a point that she gave to her Cuba to Florida swim. It was more fun than anyone has a right to have when they’re doing their job. I won’t forget my encounter with Diana Nyad anytime soon. And I suspect that after listening to her, you won’t either.